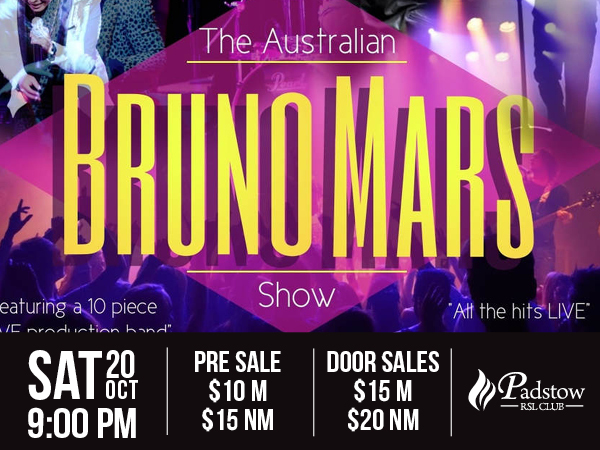 Bringing UPTOWN FUNK down to Oz, The Bruno Mars Show Australia presents to you a live production show to celebrate the most important artist of our generation. Featuring 3 of Sydney’s finest Soul R&B singers and dedicated Bruno Mars fans, this brand new show brings to life all the hits performed by a LIVE band dripping with FINESSE. Witness the biggest hits of today whilst reminicing to the 'throwback' of the classic funk sound of yesterday with hits including Uptown Funk, 24k Magic, Versace on the Floor, Treasure and many more..